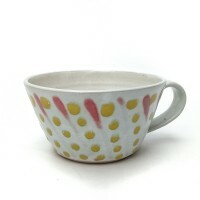 A unique cup with yellow and red trailed glaze decoration. 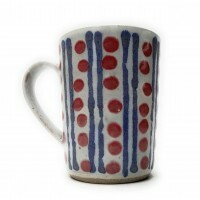 Dots and stripes. 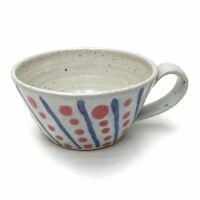 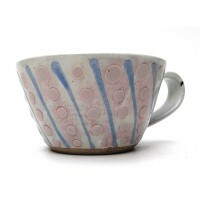 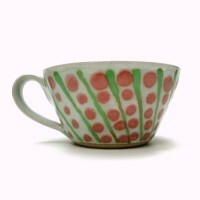 Cup with stripe and dot glaze decoration.A hand thrown cup with blue and pink trailed glaze decoration. 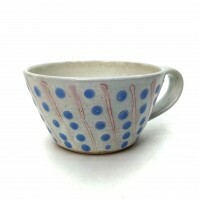 A good cup for breakfast coffee or hot chocolate. 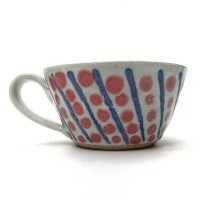 Equally good with tea though, which is what ..